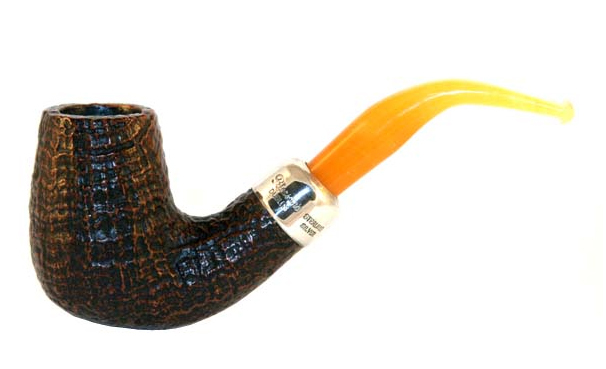 In this section of the B Shapes visual encyclopedia, Peterson turned from the creation of original Bs to what most collectors think of when they discuss the shape group: bowls left from from the Limited Edition / Pipe of the Year and various high-grade collections which were slotted into medium and sometimes entry-priced lines. 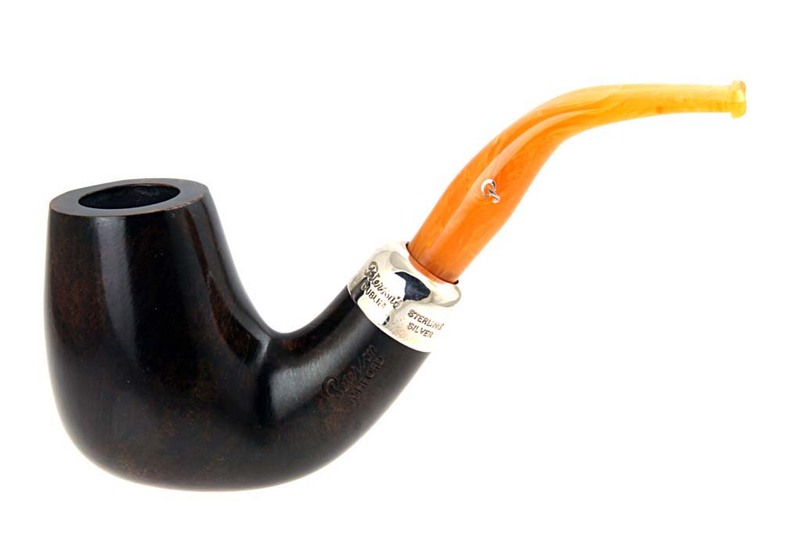 The B12, an unusual diamond-shanked straight brandy, began as part of the only dual-pipe Limited Edition set Peterson has issued, for 2000. 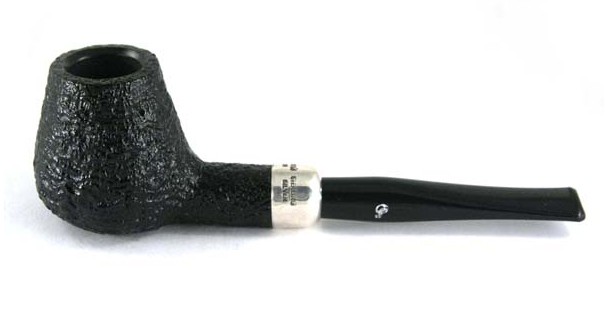 In its original issue, it features a sterling cap as well as band and is one of the most striking straight pipes Peterson has ever issued. It was reissued as a Shamrock smooth around 2008 and Shamrock rustic a little later. While still striking, it loses much of its visual power without the sterling adornments. The B13 was originally as the diamond-shanked bent sterling spigot partner of the B12, issued in the Limited Edition set for 2000. 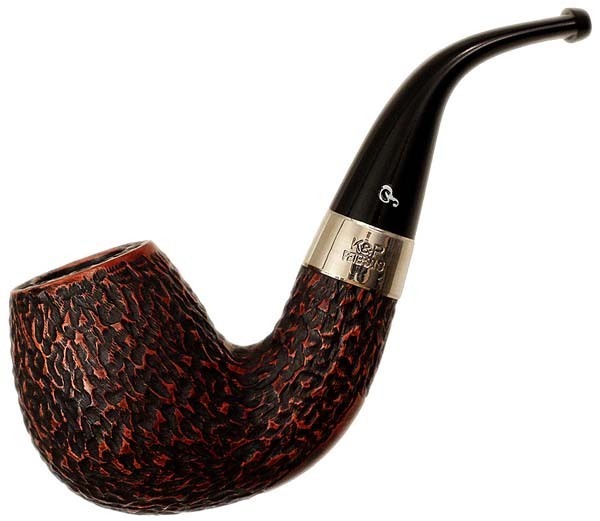 It surfaced as a beautiful tapered-stem 2002 and 2003 St. Patrick’s Day pipe and again as one of the last July 4th pipes in 2006—all extraordinary values for a fantastic shape. The B16 through B19 are all from the Great Explorers collection issued in 2002, per Tony Whelan. 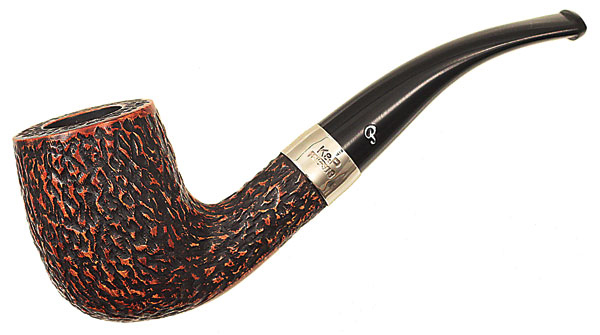 The B16 comes from The Crean, a robust interpretation of the classic Dublin shape. In the B16 army mount Rock of Cashel from Italy, it’s difficult to distinguish its slightly-larger size and shape from the 120, but in the Killarney, it looks quite similar to the B16 original. Bowl Height: 2.11 in./53.58 mm. Chamber Depth: 1.70 in./43.16 mm. Chamber Diameter: 0.83 in./21.18 mm. Outside Diameter: 1.59 in./40.49 mm. 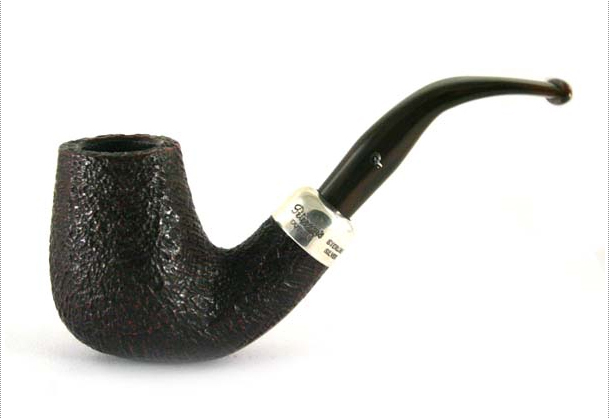 The B17 came from the 2002 Great Explorers Scott, and in its Kapet dress with tapered stem bears some resemblance to the Sherlock Holmes Professor, albeit with a higher crown. 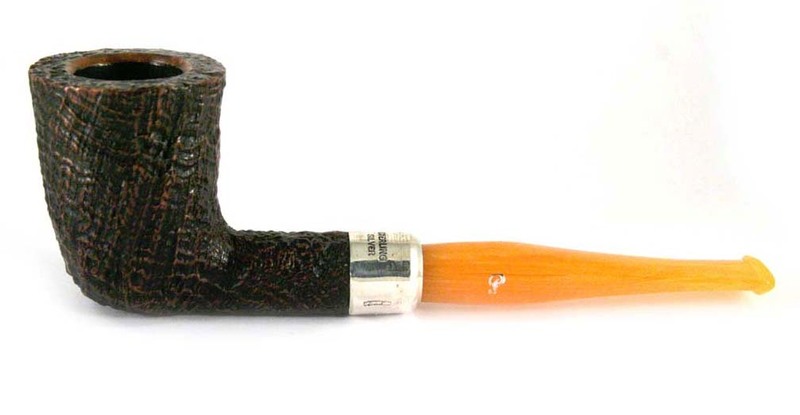 I love the Peterson straight-sided billiards, and this is a rare one, coming from the Amundsen in the 2002 Great Explorers collection. As an army mount Italian-market Rock of Cashel it almost looks like a new shape, although the beveled rim is still discernable. The rim on the Kapet B18 looks to be flattened. 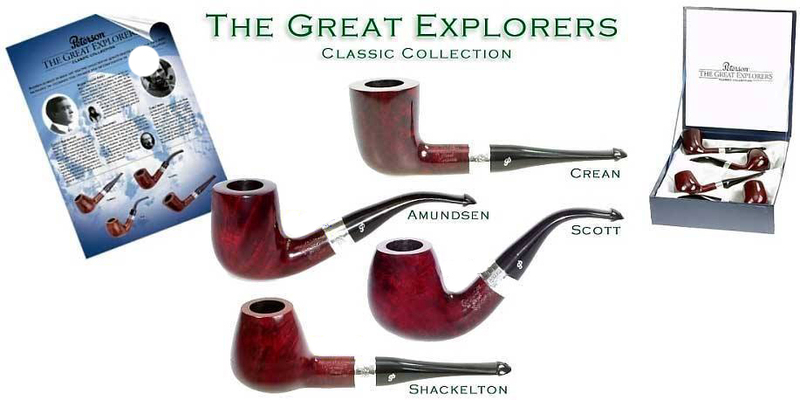 The last of the Great Explorers Collection, the Shackleton, was issued as the B19, a big, tall-bowled straight brandy. It appeared subsequently in the high-grade sterling-mount sandblast Dublin Castle line—an amazing piece—and as a sterling army mount in Lubinski’s Italian Blackrock line. The B20 was first released as the 2003 Limited Edition and is another shape that displays the Peterson House Style to magnificent effect. The only release I have been able to confirm is for the low-grade Shamrock, which appeared in 2008, although there must have been others. Length: 6.28 in. / 159 mm. Weight: 1.98 oz. / 56.24 gr. Bowl Height: 2.12 in. / 56 mm. Chamber Depth: 1.73 in. / 43.90 mm. Chamber Diameter: 0.75 in. / 19.50 mm. Outside Diameter: 1.48 in. / 38 mm. 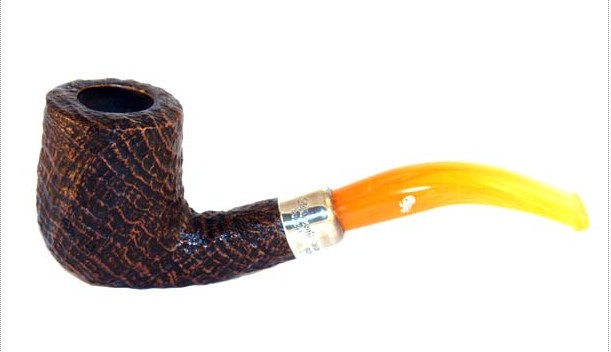 I fell in love with this strangely equine, nearly-stack proportioned brandy billiard when it first came out in 2004 for both its looks and its performance. With a 20 x 46mm chamber, it’s a full and heavenly evening of Virginia or Va/Per, with solid hand comfort and high visual appeal. I’ve never seen any shape even remotely like it, and apparently neither has anyone else, because it’s had a distinguished track record at Peterson. It first appeared as the LE silver cap for 2004, then it received its B21 shape number when Mario Lubinski scooped it up for the sterling-mount, marmalade acrylic-stemmed Rock of Cashel. It made its exit with the final production bowls in the entry-grade Shamrock line from c. 2008 (which received only a coat of wax), although I wouldn’t be surprised if it had appeared in other mid and lower-grade lines as well. In 2008 the shape reappeared in its finest dress as the as the LE for that year, adorned with sterling cap but also Celtic knots engraved at cap and on the sterling band. Length: 135 mm. / 5.26 in. Height: 63 mm. / 2.48 in. Outside Diameter: 43 mm. / 1.68 in. Chamber Diameter: 20 mm. / 0.78 in. Chamber Depth: 51 mm. / 1.98 in. Weight: 69 gr. / 2.41 oz. 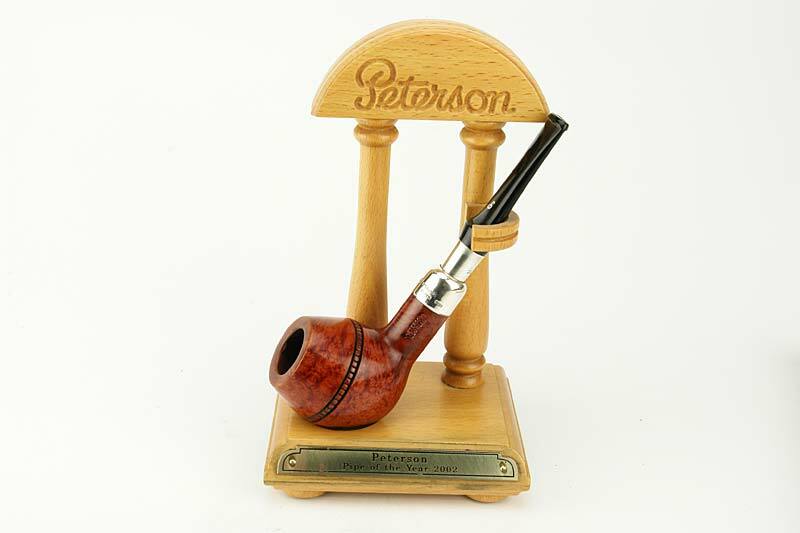 Many thanks from a devoted Peterson Fan and Collector!